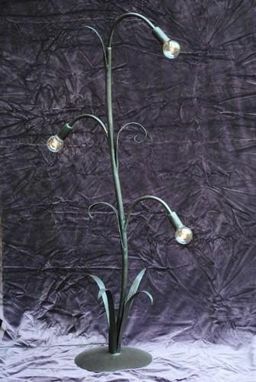 A forged iron floor lamp designed to light a corner or space next to a couch. Perfect lamp for knitting or reading by. It has a slider dimmer switch on the wire. Dimensions: 65" tall and up to 31" wide.